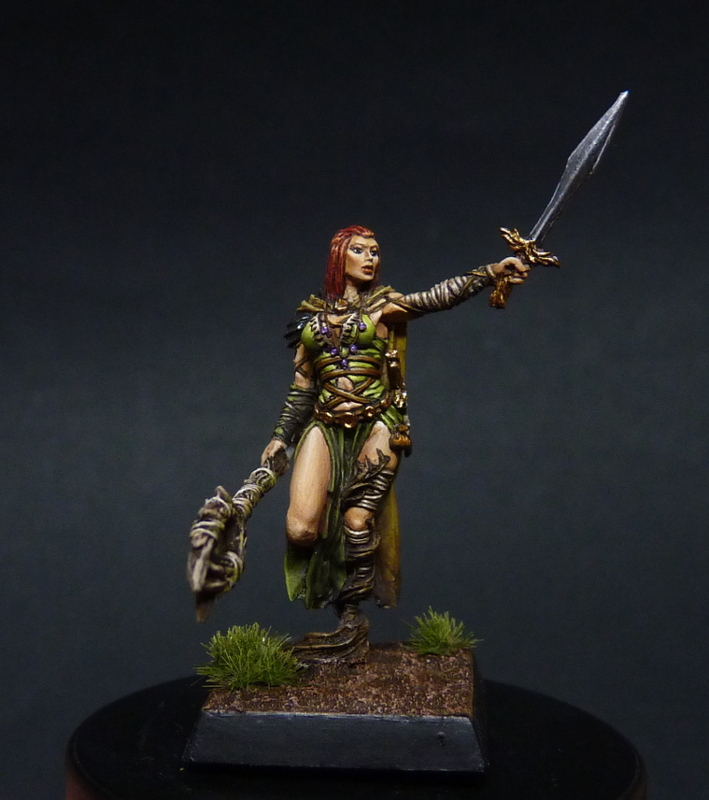 My latest finished commission paintjob is Nuala, from Mierce Miniatures. This lovely lady is sculpted by Yannick Hennebo, one of my favourite sculptors. She is actually quite tiny, and has super many small details. I love it! 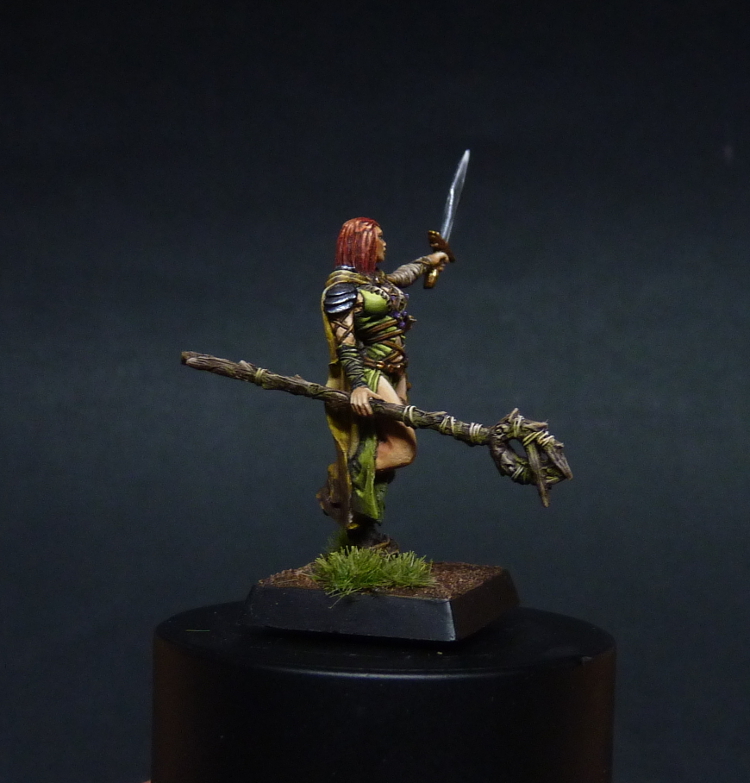 It was fun to play around with more earthy tones, and to match her look to a viking / celtic warrior. I got to play around with metallic paints, which had been a while ago. 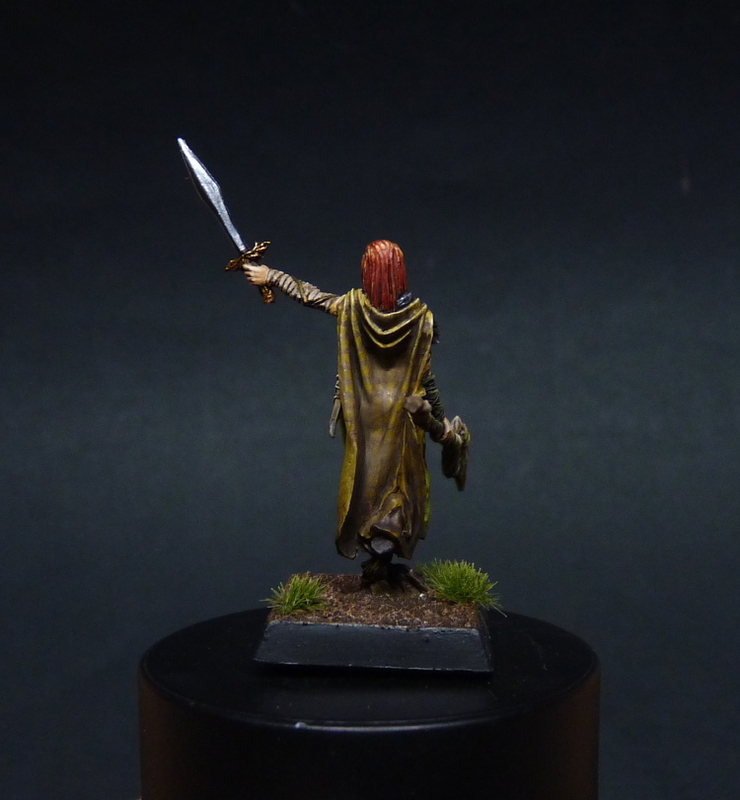 I also had fun painting the worn tartar pattern on her cape.